BRG's 664 series allows you to change the color of any zone or zones with ease. 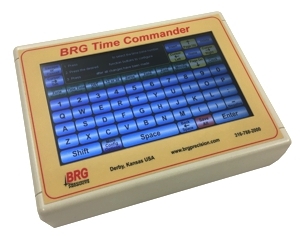 BRG 664H-C User Changeable Multi-Color Time Zone Clock. 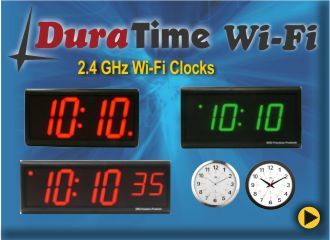 The 664 series time zone clocks have bar-segment LED time with white vinyl zone labels below the time of each zone. 664 models display 5 time zones. 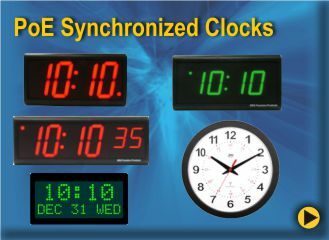 Some models include a 10 or 20 character dot matrix LED date. Models 664D through 664F include a 10 character 2 inch alpha numeric date. Models 664G through 664I includes a 20 character 2 inch alpha numeric date. The date can be arranged in any format and can include Julian dates. For instance, you could have 14 APR 08 or FRI APR 14. For easy clock management, an infrared (IR) remote control is included with every 664 model. You can specify a radio (RF) remote, if preferred for no additional charge.